Hyperbaric oxygen (HBO 2 ) has been successfully used in several medical fields. The therapeutic effect is related to elevated partial oxygen pressure in the tissues. The pressure itself enhances oxygen solubility in the tissue fluids. HBO 2 has shown to affect angiogenesis, bone metabolism and bone turnover. Studies have been conducted to analyze the effects of HBO 2 therapy on periodontal disease. HBO 2 increases local oxygen distribution, especially at the base of the periodontal pocket, which inhibits the growth of anaerobic bacteria and allows the ischemic tissues to receive an adequate intake of oxygen sufficient for a rapid recovery of cell metabolism. It is increasingly being accepted as a beneficial adjunct to diverse clinical conditions. Nonhealing ulcers, chronic wounds and refractory osteomyelitis are a few conditions for which HBO therapy (HBOT) has been extensively tried out. 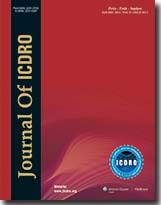 The dental surgeons have found a good ally in HBOT in managing dental condition. Objective: The objective was to compare the sealing ability of two root canal sealers viz. : Hybrid Root SEAL (Sun Medical, Tokyo, Japan) and iRoot SP (Innovative BioCeramix Inc., Vancouver, Canada). Materials and Methods: A sample of 60 permanent single rooted, human maxillary central incisors of similar sizes was selected for the study. The teeth were decoronated and randomly divided into two groups viz. : Group A and Group B, comprising of thirty teeth each. 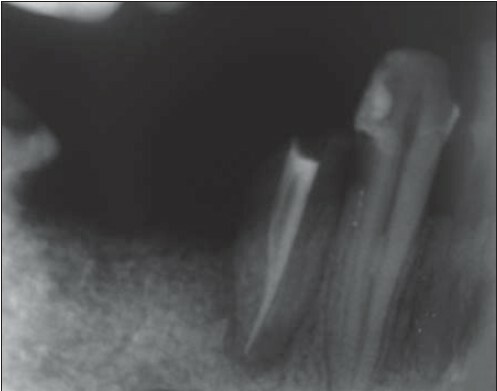 In Group A, Hybrid Root SEAL and Group B, iRoot SP were used as root canal sealers along with Gutta-percha cones using lateral condensation technique to obturate the canals. After obturation roots were covered with nail paint except 2.0 mm of root and stored in 0.5% methylene blue dye for 1 week. The teeth were immersed in 10 ml of 65% nitric acid for complete dissolution and subsequently subjected to UV spectrophotometer to quantify the concentration of the dye in each sample. The data were analyzed using the unpaired t-test. Results: The mean dye leakage value in Group B (0.368) was less as compared to Group A (0.408). However, statistically the difference was nonsignificant (P = 0.053). Conclusion: There was no statistically significant difference among the two groups. 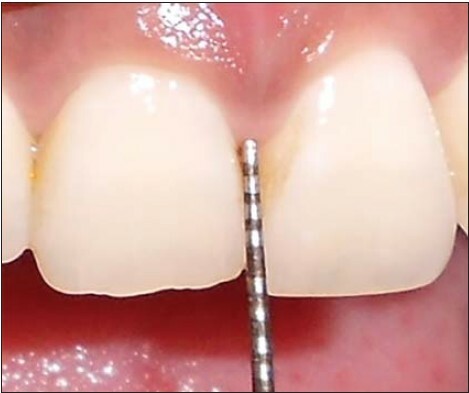 Aim: The aim of this study is to evaluate the anatomic variables affecting the interdental papilla. 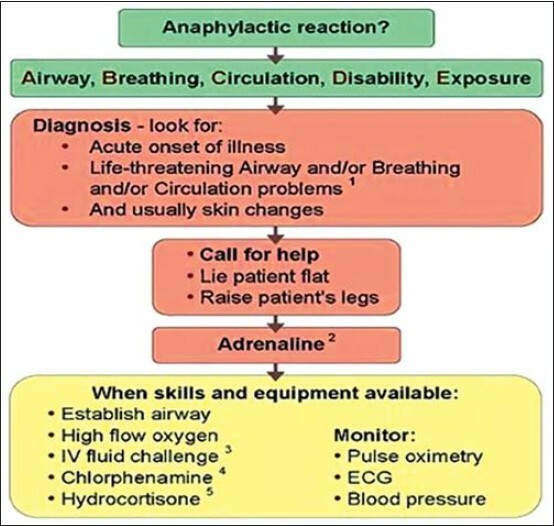 Materials and Methods: Thirty adult patients were evaluated. Papilla score (PS), tooth form/shape, gingival thickness, crest bone height and keratinized gingiva/attached gingiva were recorded for 150 inter proximal sites. 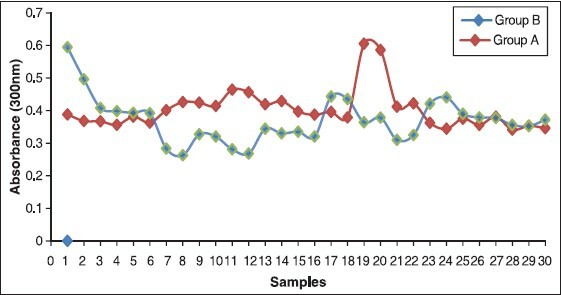 Data were analyzed using SPSS software package (version 7.0) and the significance level was set at 95% confidence interval. Pearson's correlation was applied to correlate the relationship between the factors and the appearance of the papilla. Results: Competent papillae (complete fill interdentally) were associated with: (1) Crown width (CW): length ≥0.87; (2) bone crest-contact point ≤5 mm; and (3) inter proximal gingival tissue thickness ≥1.5 mm. Gingival thickness correlated negatively with PS (r = −0.37 to −0.54) and positively with tissue height (r = 0.23-0.43). Tooth form (i.e., CW to length ratio) correlated negatively with PS (r = −0.37 to −0.61). Conclusion: Gingival papilla appearance was associated significantly with tooth form/shape, crestal bone height and interproximal gingival thickness. Background: It is a known fact that clinical appearance of gingiva directly correlates with the inflammatory status of the periodontium. It has been observed that the gingival thickness (GT) appears to differ in pigmented and nonpigmented gingiva. Thickness of gingiva seems to be of significance and an issue of concern in aesthetic and functional outcome of the periodontal, restorative and orthodontic therapy. So far in the periodontal literature, the gingival width has been discussed to a great extent. GT also plays an equally important role, but it has been given limited importance when compared to gingival width. Purpose of the Study: The purpose of this study was to comparatively assess the GT in pigmented and nonpigmented gingiva by transgingival probing. Materials and Methods: The study included 240 sites in 10 patients each of pigmented and nonpigmented gingiva. The GT was assessed mid-buccally in the attached gingiva, half way between mucogingival junction and free gingival groove and at the base of the interdental papilla. The gingival bleeding index and plaque index were also recorded. The data were statistically analysed using paired t-test and Z-test. Results and Conclusion: Gingival bleeding index and plaque index were similar between both the groups. Both midbuccal and interdental areas were thicker in pigmented gingiva when compared to nonpigmented gingiva. Endodontic treatment may sometimes fail because morphological features of the tooth adversely affect the treatment procedures. 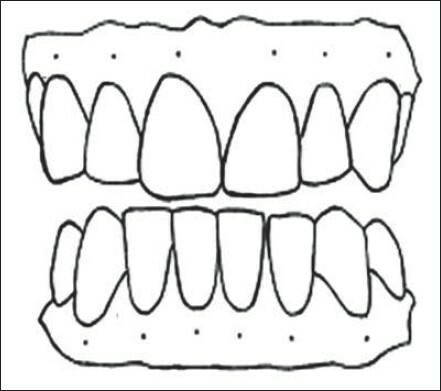 Many investigators have reported the anatomical variations associated with mandibular canines. Mandibular canines are recognized as usually having one root and one root canal in most cases. 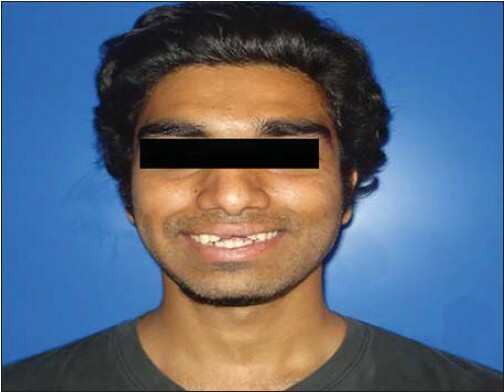 This case report describes a clinical case of mandibular canine with two canals. Human mandibular canines do not present internal anatomy as simple as could be expected; there are such canines with a single root and two canals, two roots or fused roots. The existence of mandibular canines with more than one root canal is a fact that clinicians ought to keep in mind, in order to avoid failure during endodontic treatment. In spite of the low incidence of lower canines with one root and two canals, this possibility cannot be forgotten, inasmuch as the presence of a second canal in these teeth leads to difficulties in endodontic treatment. The precise knowledge of the dental endocanalicular system's anatomy is essential in the success of the root canal therapy, because the failure to detect the accessories canals and the incomplete radicular obturation leads to the infection of the periapical space, which will ultimately result in the loss of the tooth. An avulsed permanent tooth is one of the few real time dental emergencies, wherein a potential unscheduled diagnostic and treatment decision outside the regular practice experience of the dentist awaits him. 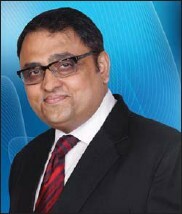 Prognosis is dependent on the decisions taken in the "Golden Hour" aftermath the accident. Reimplantation is the treatment of choice as there are chances of successfully saving a tooth. The condition is compounded by the lack of public awareness and the presence of a proper avulsion management protocol that has been tested by prospective longitudinal studies. 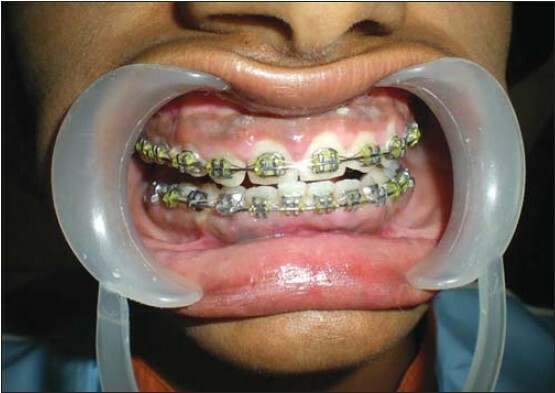 This article discusses an unusual case of total replacement resorption along with a comprehensive review of the etiology, pathology, clinical features, and the management of the condition.